What are Cloves: These Organic Whole Cloves Buds are highly aromatic and flavorful for all your culinary creations. 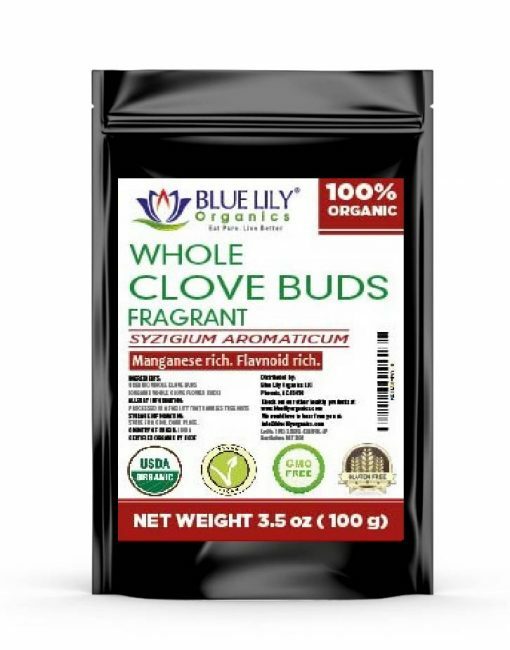 Blue Lily Organics Organic Whole Cloves Buds have a bitter astringent flavor leaves a numbing sensation in the mouth with an exotic test. This can be used whole or crush in the spice grinder to use in your favorite recipes. We bring the best, freshly packed, pure Whole Clove spice for you, freshly packaged in small batches in the USA. 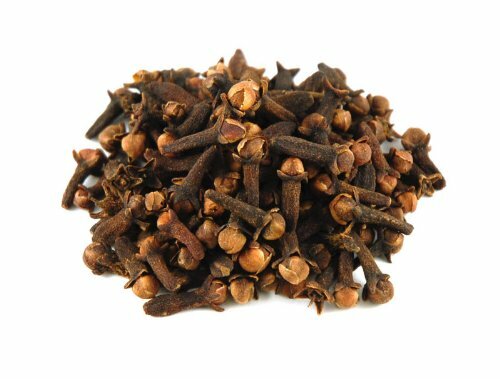 Cloves have antiseptic and germicidal properties that help resist infections relieve digestive problems, soothe teeth pain and much more. Blue Lily Organics Organic Whole Cloves Buds are vegan and 100% organic and add a great flavor, aroma and punch to your dishes. Improve Liver Health: Studies show that the beneficial compounds found in cloves could contribute to liver health. The eugenol compound may be particularly beneficial to the liver. An animal study fed rats with mixtures of fatty liver diseases containing clove oil or eugenol. 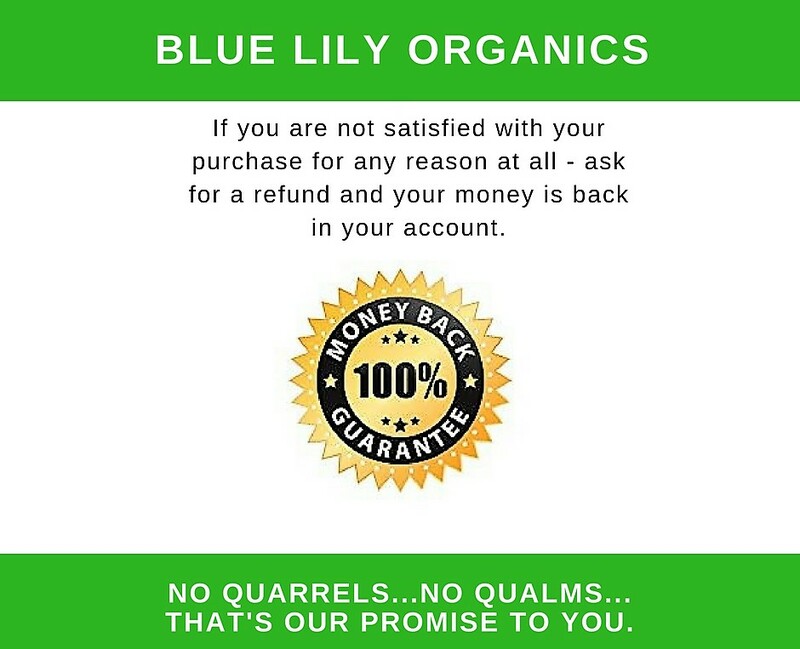 Both mixes improved liver function, reduce inflammation and reduce oxidative stress. Help for the Treatment of Diabetes: Volunteers participating in a study reported lower glucose levels after taking their teeth regularly. Another animal study showed how cloves can moderate blood sugar peaks in diabetic mice. Cloves contain another compound called nigericin, which improves the secretion of insulin and the health of insulin-producing cells. This means that cloves, when taken as part of a balanced diet, can control your blood sugar. Temporarily Treat a Toothache: You can temporarily relieve pain by rubbing clove oil in a cotton ball and placing it on the sore tooth or on your gums. An added benefit is that it will also eliminate any infection. Improves the immune system: The science of Ayurvedic medicine has described the spice as being effective in the development of the body’s immune system. 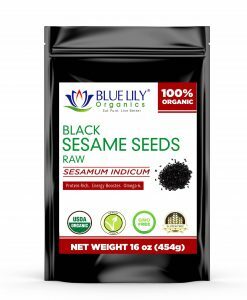 They stimulate the production of white blood cells and strengthen the defense against bacterial infections. 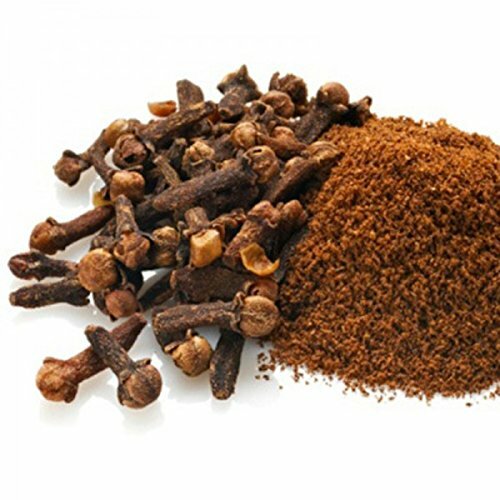 Preservation of Bones: Hydroalcoholic extracts of clove include phenolic compounds such as eugenol and its derivatives, such as flavones, isoflavones, and flavonoids. 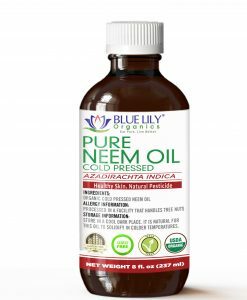 These extracts have been particularly useful for maintaining bone density and bone mineral content, as well as for increasing bone tensile strength in osteoporosis. Blue Lily Organics Whole Clove spice is vegan and 100% organic, and contains no cheap fillers like many other Clove spices on the market. 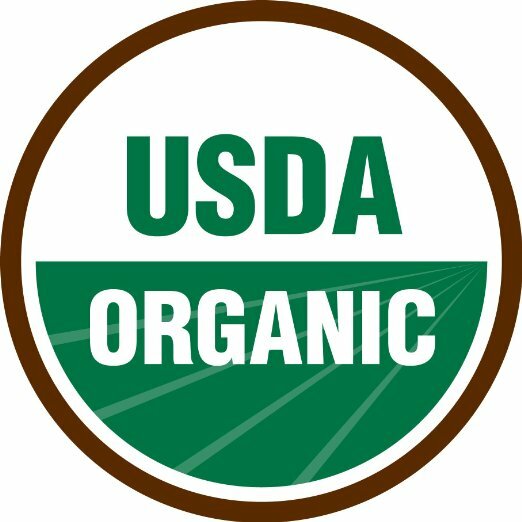 Simple to incorporate into the foods and beverages of your choice.